I have an invitation for you that may change your life. It surely did change mine. Would you consider becoming a pen pal to one of the 744 men and women condemned to die in California? Whether or not your correspondence with a prisoner dramatically affects your life -busy as I know it must be – one thing’s for sure: it certainly will bring color, hope, and dignity to the thirsty, hungry soul in the locked cage who receives your freely-offered letter. I say it will bring dignity, because, coming as it does so unexpectedly, it will convey to the caged recipient as nothing else can: that whatever they may have done in the past, someone in this world recognizes that they are a human being by caring enough to write them a personal letter. Imagine the sheer gift of your letter arriving with their name written on it -no, it’s not a mistake, that’s their name on the envelope, all right – delivered right into their hands like a shaft of light breaking into a drab, gray day-like-every-other-prison-day. A personal letter. For me, somebody recognizes that I’m human. It’s addressed to me. Back in 1982 I got an invitation to write a man on Louisiana’s death row – Patrick Sonnier – and the relationship that grew out of that correspondence changed my life, challenged it, enriched it, and deepened it forever. The point is that every soul deemed not worthy to live, who occupies a cramped cell in San Quentin (men prisoners) or in Chowchilla (women prisoners) is a human being with human rights, who does not deserve to be tortured and killed. And to add to the torture, waiting for death in a small cell for years and years – slogging against the gravitational pull of despair– alone, so alone. If you do decide to correspond with a death row prisoner, do not be surprised if there is not an immediate response. Years of imprisonment can paralyze a soul. If this happens, I urge you not to give up. When I first wrote to Patrick I imaged myself being like a lighthouse, steadily sending him little beams of light, even if he didn’t respond. From the beginning, learn the prison rules about correspondence and follow them exactly. If you don’t, it’s the prisoner who suffers. Finally, what counts the most is fidelity. What prisoners Do Not Need is a flurry of letters in the beginning and a promise of undying friendship – then……. Nothing. Better to commit to a minimum plan, perhaps a letter a month, and stick to it, no matter what. Postcards from beautiful places are welcome, especially since prisoners are so sensory deprived. Godspeed as you open your heart and your life to human beings who happen to be prisoners. May they be a gift in your life as surely as you will be in theirs. To learn more about this opportunity, please join San Diegans Against the Death Penalty for an information session. Enjoy light refreshments, meet past and current penpals, and learn how you can make a difference. NOTE: If you cannot attend the information session in San Diego, but are interested in writing to a death row inmate, e-mail SDagainstDP@gmail.com for more information. As I see it, the question of whether or not you will use your power as governor to commute death sentences is soul terrain, moral ground, conscience ground, not simply political or legal ground. That’s because the practice of condemning conscious, imaginative human beings to death, which entails confining them in a restricted space for years on end and then killing them or holding them in death cells indefinitely, is always and inherently the practice of torture. It is the most fundamental violation of people’s dignity and human rights. “In the end when we destroy the world, it will be legal. This is what leads me to write you once again to urge you to transcend politics and legalities and to make the bold moral decision that is within your power as governor to make: end the torture of the 700 plus human beings on California’s death row by commuting their sentences of death to life imprisonment.. Make no mistake, Governor Brown, human beings, endowed with consciousness and imagination, who are condemned to death and spend long years on death row, are victims of torture. ”Subjected to extreme mental or physical assault while rendered defenseless” is the definition of torture by the U.N Universal Declaration of Human Rights and by Amnesty International. And for over thirty years by accompanying people on death row as their spiritual advisor, I’ve seen this torture close-up, including the suffering of men and women on California’s death row. You are governor in a state that practices torture, Governor Brown. I believe this is the deepest moral question facing you: will you allow the torture of human beings on death row to continue after you leave office if you refuse to commute the death sentences? How many years will it take before the citizens of California finally end the death penalty through a ballot initiative? Will your conscience permit you to take refuge in a legal or political justification for refusing to use your power to stop the torture of the women and men on your state’s death row, knowing full well that you had the power to stop it? As yet, neither the U.S. Supreme Court nor Congress can bring itself to acknowledge the torture inherent in the death penalty, but I am sure that in your Christ- conscience you recognize it. Just as, well in advance of the Court and Congress, you have had the keen moral sense to recognize our national failure to deal with climate change and the human rights of immigrants at our borders- and had the moral courage to take bold steps to deal squarely with these blatant moral failures. I pray to see you go down in history as the person who used his authority to empty death row and stop the torture of the human beings confined there. As your sister in Christ I am praying mightily for you. Please click on the link above and sign the petition to Governor Brown to commute the death penalty convictions of all those currently on California’s death row. Then share it on Facebook, Instagram, Twitter–all your social media. 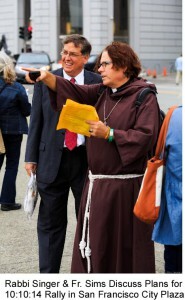 Help fund independent Catholic journalism. Donate now. Justice Clarence Thomas, who wrote the dissent and was joined by Justices Samuel Alito and Neil Gorsuch, said the court’s unsigned opinion demonstrated “ceremonial hand-wringing” and he predicted Tharpe would lose his appeal. For the rest of the article, click here. Those defeats provided anti-death-penalty advocates with a “wake-up call,” according to Karen Clifton, executive director of Catholic Mobilizing Network. Clifton told NCR that she felt the passing of the referendums would have been a “natural trajectory,” reflecting early poll results. For complete article, click here. After about 80 minutes, they gave up and returned Mr. Campbell to his cell, where he sits awaiting his next date with death, now set for June 5, 2019. For the rest of the story click here. There will be a Mass for victims of violence this Wednesday, October 25, 2017, at 7 pm. It will be held at St. John the Baptist Church, 279 South Main Street, Milpitas, CA 95035. Pope Francis declared today that the death penalty is “contrary to the Gospel.” He said that “however grave the crime that may be committed, the death penalty is inadmissible because it attacks the inviolability and the dignity of the person.” For complete article, click here. The U.S. Supreme Court stayed the death sentence today of Keith Tharpe, a black man who was on death row for over 25 years despite the fact that one of his white jurors later recounted the case using slurs when referring to black people and said that “because a black person doesn’t have a soul, giving one the death penalty was no big deal.” Tharpe was scheduled to be executed this evening. A California man was sentenced Friday to life in prison without the possibility of parole for killing his ex-wife and seven others in a 2011 shooting rampage at the hair salon where she worked. Currently there are 728 men in San Quentin and 21 women in Chowchilla awaiting execution. 18 persons have completed all their appeals and could be executed within a year. It is time to put our faith into action and acting on our sense of compassion and our belief in the sanctity of life to join the campaign to end the death penalty in California. Service for Victims of Violence October 25th, 2017 at 7 PM St. John the Baptist Church, 350 South Abel Street, Milpitas, CA 95035, with Bishop McGrath presiding. Outreach: Faith Formation Conference, November 3rd and 4th. Directions: From HWY 85 South, exit on Fremont Ave., make a left onto Fremont Ave. and then make a right turn on Hollenbeck Ave. The church is on your right. There will be a Mass for victims on October 25, 2017 at 7:00 pm at St. John the Baptist Church in Milpitas. Bishop McGrath will preside. Currently there are 728 men in San Quentin and 21 women in Chowchilla awaiting execution. It is time to put our faith into action and acting on our sense of compassion and our belief in the sanctity of life to join the campaign to end the death penalty in California. 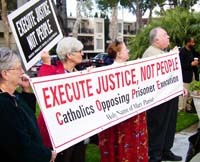 Please join us for the next meeting of California People of Faith Working Against the Death Penalty, Tuesday, July 11th from 5:30 to 7:00 PM at the Youth Room of the Parish Center, Resurrection Parish, located at 725 Cascade Drive, Sunnyvale, CA 94087. Service for Victims of Violence October 25, 2017, 7 PM, St. John the Baptist Church, 350 South Abel Street, Milpitas, CA 95035. Bishop McGrath presiding. Directions: From HWY 85 South, exit on Fremont Ave and make a left towards Sunnyvale, take a right on South Mary Ave, and a left on Cascade Drive. Last years’ Proposition 66 sets five-year deadlines for capital punishment appeals. The Mercury News, Tuesday, June 6, 2017, page B1. Teen’s family disappointed but expert says verdict not surprising without body. The Mercury News, Tuesday, June 6, 2017, page A1. On Wednesday, October 19, 6-7 pm, a YES on 62 Interfaith Prayer Service will be celebrated at Trinity Cathedral, 81 North 2nd Street, San Jose. Join with Christians, Hindus, Jains Jews, Zoroastrians, Muslims, Sikhs, Quakers and others in an Interfaith Prayer Service for Prop 62, to raise our voices in support of abolishing the death penalty in California. Put YOUR faith in action! If you would like to help publicize the service, you can download a flyer here. If you have questions, please contact Father Jon Pedigo at jpedigo@dsj.org. Anti-death-penalty activist and actor Mike Farrell opened up the Archdiocese of San Francisco’s Reentry Conference and Resource Fair on October 1, telling his audience why he considers the death penalty “the ultimate insult to human dignity.” Mr. Farrell also participated in a panel discussion on the death penalty and specifically on the two initiatives on California’s November ballot: Proposition 62, which would repeal the death penalty and replace it with life without parole, and Proposition 66, which purports to “fix” the death penalty and speed up the process. The panelists from left to right are: David Crawford, Outreach & Education Director, Death Penalty Focus; Elaine Donlin Sensei, Ordained Buddhist Priest; Beth Weinberger, Coordinator, Anti-Death Penalty Action Group, Kehilla Community Synagogue; Susan Swope, Advocate for Death Penalty Abolition; Mike Farrell, and Moderator, Terry McCaffrey, President, California People of Faith Working Against the Death Penalty. For the full story, see the Catholic San Francisco of October 6, 2016, page 1. Proposition 62 is an initiative that, if approved by the voters, would repeal the death penalty for persons found guilty of murder and would replace it with life imprisonment without possibility of parole. the Bishops of California have agreed to support Proposition 62 and oppose Proposition 66 (which would speed up death penalty appeals). SACRAMENTO, CA – During this Jubilee Year of Mercy, we, the Catholic Bishops of California support Proposition 62 which would end the use of the death penalty in California. Our commitment to halt the practice of capital punishment is rooted both in the Catholic faith and our pastoral experience. 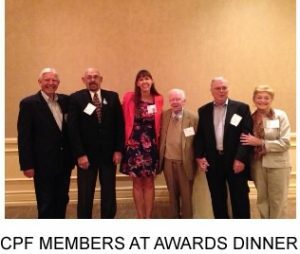 The Death Penalty Focus 25th Annual Awards Dinner was held at the Beverly Hills Hilton Hotel in Los Angeles on May 12th, 2016. The event was very well attended–a real tour de force. It featured Sir. Richard Branson, Mike Farrell, Joan Baez, Dolores Huerta and Jackson Browne. The event was hosted by Matt Cherry, Executive Director of Death Penalty Focus. The program recognized a long list of deceased death penalty abolitionists, which included our dedicated CPF member, Kay Bandell. May she Rest in Peace. Magdaleno Rose-Avila, with Witness to Innocence, introduced about 14 Exonorees, who had been convicted for crimes that they did not commit. The list included Franky Carrillo (20 years in prison), Albert Woodfox (43 years in solitary confinement), Alfred Dewayne Brown, Obie Anthony (16 years in prison), John Thompson (18 years in prison 14 years on death row), Gary Tyler (sentenced to death at 16, 42 years in prison) and Juan Melendez (18 years on death row). Witness to Innocence empowers Death Row Exonorees to work toward abolishing the Death Penalty. Richard Branson shared his views on the death penalty. He said that he always believed that the death penalty is cruel, barbaric and inhumane. He noted that the death penalty is an issue that affects everyone. It is a violation of human rights that has no place in a civilized society. He said we all have a duty to work for its abolition across the world. Over the years, he has used his voice, and his resources, to take a stand against the death penalty in the US and elsewhere. Some countries – like Saudi-Arabia, Iran, China and Pakistan – continue to execute people at an alarming rate, with convictions that often follow legal proceedings that violate every standard of fairness and human decency. Richard Branson’s support for the Justice That Works Campaign will be key. Being a life-long opponent of the death penalty, Mike Farrell has debated and spoken about this issue on many occasions across the country. 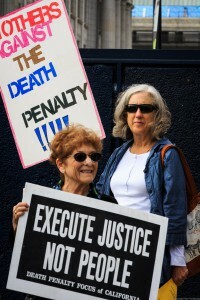 An alternative to the death penalty that Farrell believes appropriate is Life Imprisonment Without the Possibility of Parole. This means exactly what it says. Life imprisonment without ever having the chance to get out. Dolores Huerta has been a longtime fierce advocate for farm workers, immigration and women’s rights, and an opponent of the death penalty. She was awarded the Norman Felton and Denise Aubuchon Humanitarian Award presented by Magdaleno Rose-Avila. Matt Cherry deserves a lot credit for having forged a powerful coalition for the Justice That Works Campaign. In his remarks to the audience he noted that support for ending the death penalty now stands at 60%. He said that over 600K signatures were submitted to the Attorney General for validation. Only 300K signatures are required to qualify for the ballot. He said that $4 million has been spent for the signature gathering. For a successful campaign we need to raise $10 million. With the resources that have been established, we are well positioned to end the death penalty in California. However, now that the pro-death penalty initiative appears to have submitted enough signatures to qualify for the ballot, we need a united front to meet the challenges that lie ahead. California People of Faith Working Against the Death Penalty has endorsed the Justice That Works Ballot Initiative. The Awards Dinner was well attended by CPF Members (see attached photo). They may be submitted by telephone to (916) 445-2269, by fax at (916) 324-6075, or by e-mail at LI.comments@cdcr.ca.gov. If Mr. Lockwood is unavailable, inquires should be directed to Joshua Jugum at (916) 445-2228. Here is a Lethal Injection Fact Sheet and sample letter. I am very excited to announce the launch of the Justice That Works Act of 2016, a ballot initiative to replace California’s dysfunctional and costly death penalty system. This initiative will re-sentence the nearly 750 people currently on death row in our state to life in prison without the possibility of parole. Life in prison will replace the death penalty as the ultimate punishment for first degree murder in California. The initiative will also put them to work: all the death row inmates re-sentenced to life, and anyone else sentenced to life without parole, will be required to work in prison and to pay most of their wages as restitution to their victims’ families. On top of all this, the initiative will save us $150 million every year according to the state’s own estimate. You may recall that in 2012 Proposition 34 came within two percentage points of replacing the death penalty. In the course of that campaign, much was learned and accomplished. Now, standing on the shoulders of that effort, we are in a great position to win that missing two percent of the vote. Since 2012, public support for the death penalty in California has fallen by double digits as more people recoil at the botched executions, miscarriages of justice, and exorbitant costs of this broken system. In that same time, the nationwide trend against capital punishment has continued – Maryland and Nebraska have both replaced the death penalty and four other states have imposed moratoriums. It is imperative that we capitalize on all this positive momentum and win at the ballot box next year. Since the death penalty was reinstated in California in 1978, at least $5 billion has been spent to sentence more than 900 people to death, 13 of whom have been executed. If you do the math, you’ll see that works out to about $385 million per execution. California has by far the largest death row in the nation, with one quarter of all of America’s condemned inmates here, and we continue to sentence far more people to death than any other state. It is time for California to quit leading the western world in death sentences and instead lead the movement to replace the death penalty with justice that works. We are already gathering signatures; please watch for us as you shop. 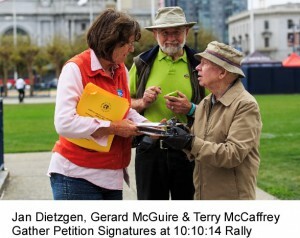 We will need 365,880 signatures by May to ensure qualification for the November ballot. In the meantime, the campaign is ramping up and we will need your help in order to win. If you are interested in helping the campaign in any way, big or small, please click here and tell us how. We will certainly need financial support in order to fully fund our campaign budget and I would deeply appreciate your consideration of making a donation now or setting up a recurring monthly contribution today. Please click here for more details. With your help, we will wake up on November 9, 2016, having closed the largest death row in the western world. Between now and then, there is a lot that must be done and I look forward to working with you to accomplish that goal. PS. For more information, please visit our website: www.justicethatworks.org and don’t forget to follow the campaign on Twitter and like us on Facebook. The Department of Corrections has issued new regulations for a one-drug lethal injection protocol. This protocol provides for the use of one of the following drugs for the execution: Amobarbital, Secobarbital, Pentobarbital, or Thiopental. Amobarbital and Secobarbital have never been used for lethal injection. Written comments must be received by January 22, 2016 at 5 pm. Here is a Lethal Injection Fact Sheet and sample letter. How you can get involved and help! Share the online action alerts below via email and your social networks. Encourage your networks to help by issuing a comment and objecting to the regulations. Submit a comment on behalf of your organization, group, church, etc. If you are interested in submitting a comment on behalf of your organization, let me know by emailing me directly at azamora@aclunc.org. I can help you outline a comment that contains a lengthier objection to the regulations. Send an email blast to your organization or group email list. We can help you create your own action alert, or you can simply link to the DPF/Care2.org petition below. If you are interested in this, please email me at azamora@aclunc.org and we will help you set one up. This is a fantastic online tool that automatically generates and emails a comment to the CDCR when a user signs the petition. It has already generated over 9,000 comments! Thanks to David from DPF for setting this up. Please share this far and wide! This is an online action that generates and emails a comment to the CDCR. This will allow users to add in a personal message to their comment. Others coming soon! As the comment period progresses, we hope to have online action alerts from Credo and MoveOn.org. I will send those around once they are live. We have printed out post cards in English and Spanish that contain different combinations of objections to the regulations. Volunteers around the state have been sent packets of postcards and will be distributing them in their local communities. If you would like a package of postcards, please let Tessa know by emailing her at: tdarcangelew@aclunc.org. Please join our esteemed panel for a discussion of the legal issues surrounding the wrongful conviction of Kevin Cooper, the death penalty and mass incarceration of People of Color. In 1983, Kevin Cooper was convicted and sentenced to death row for the killing of a family of four in Chino Hills, San Bernardino County. He has maintained his innocence since his arrest. Mr. Cooper was scheduled to be executed in 2004, but was granted a stay of execution by the 9th Circuit. On May 11, 2009, his petition for habeas corpus was denied en banc, upon which five judges of the 9th Circuit dissented, stating that they believed he was innocent based on evidence tampering by the San Bernardino Sheriff’s Department. KEVIN COOPER–Mr. Cooper will be participating on the panel from San Quentin. AMIR VARICK AMMA, Organizer, All of Us or None–Mr. Amma is a survivor of New York State’s draconian Rockefeller Drug Laws, and was wrongfully sentenced to 25 years to life. After serving over 19 years, Mr. Amma was released from prison and earned his BA in Social Work from Lehman College. Mr. Amma has over 20 years of experience as a community activist for such organizations as ComAlert, the Drug Policy Alliance, and Samaritan Village out of NY. BICKA BARLOW, Law Office of Bicka Barlow–Prior to establishing her private law practice specializing in forensic DNA evidence, Ms. Barlow was the San Francisco Public Defender’s Office sole DNA Attorney for 8 years, and Research Attorney for the San Francisco Superior Court. She received her BS in Genetics from UC Berkeley, MS in Genetics and Developmental Biology from Cornell University, and JD from the University of San Francisco School of Law. NORMAN C. HILE, Senior Counsel, Orrick Herrington & Sutcliffe–Mr. Hile has represented Mr. Cooper since 2003. Mr. Hile served on the Ninth Circuit Advisory Board from 2007 to 2011, and as Chair of the Judicial Advisory Board, Eastern District of California from 1998 to 2000. 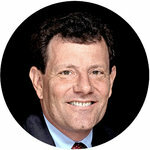 He received his BA from Yale University and JD from Columbia University. CAROLE SELIGMAN, Kevin Cooper Defense Committee–Ms. 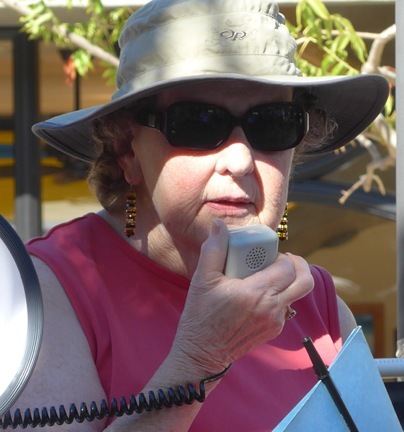 Seligman is a retired elementary school teacher, parent and grandparent, is a member of the Labor Action Committee to Free Mumia Abu-Jamal, the co-editor of Socialist Viewpoint magazine, and the office manager at Prison Radio. For additional information, please contact San Francisco Law School NLG Representative Tarina Yasmoothr at tarinalarsen@gmail.com. Pope Francis made an impassioned plea Thursday for the U.S. to abolish the death penalty in his address to Congress. The pope has long been an opponent of capital punishment and has also spoken out against life imprisonment. “I am convinced that this way is the best, since every life is sacred, every human person is endowed with an inalienable dignity, and society can only benefit from the rehabilitation of those convicted of crimes,” he said. In the U.S., capital punishment remains legal in 31 states, and as of July 2015, 3,002 inmates were awaiting execution across the country. A federal appeals panel on Monday heard the state’s argument against a 2014 ruling that could bring a reprieve to all the inmates on death row in California. In a case that may be headed to the U.S. Supreme Court, a federal appeals court on Monday will review a ruling last year declaring California’s ‘dysfunctional’ death penalty law unconstitutional because of systemic delays in a state with more than a quarter of the nation’s condemned inmates. 2015-8-31 6:56:00 A.M.
A dialogue between Catholic and Buddhist religious and social action leaders began today at the Vatican. Pope Francis stopped by the meeting, and Cardinal Jean-Louis Tauran gave a welcoming address. The Pope then made some brief remarks that were translated to English as he spoke. As he went to greet everyone, Pope Francis was overwhelmed with gifts: from different kinds of artwork to books. The 46 participants all live in America. They came from New York City, Chicago, San Francisco, Berkeley, Los Angeles, and Washington, D.C. While receiving gifts, the Pope also gave blessings. And the Pope himself received a Buddhist blessing. In the past, dialogues between the two religious groups focused on mutual understanding. However, in this meeting, the focus is on how they can work together to address social problems. Pope Francis clearly enjoyed the event, as he was beaming on his way out of the meeting. The dialogue will take place from June 23rd to 27th. It is being hosted by the Pontifical Council for Interreligious Dialogue and the United States Conference of Catholic Bishops. Rev. Alan Senauke, of California People of Faith Working Against the Death Penalty, was part of the delegation. His remarks on the meeting follow below. Our dialogue group of about fifty had a wonderful audience with Pope Francis yesterday. He met each one of us with presence and warmth, taking a moment to touch and to listen. A true human, deeply ordinary in the best sense of the word. I was privileged to be there and to hand Pope Francis a letter from California People of Faith Working Against the Death Penalty asking him to speak out against the madness of capital punishment in California and everywhere…more later. One of our members has committed $500 in matching funds. Whatever you contribute will be matched up to $500. This is a great time to contribute to our efforts to end the death penalty in California and in the United States. All contributions are fully deductible. Mission Statement: We, Clergy Against State Executions, (brothers and sisters) come together to empower California’s diverse faith communities to end the death penalty through advocacy, education and prayer. Pope Francis calls for the end of the death penalty as well as the practice of sentencing people to life without possibility of parole, “the hidden death penalty.”!!! On October 10th, 2014 the San Francisco Bay Area CPF Chapter led a rally at the Supreme Court Building in San Francisco, California. This group focussed on the injustice of executing the mentally ill.
On October 5th, 2014, the San Francisco Bay Area Chapter of CPF observed WORLD DAY AGAINST THE DEATH PENALTY by hosting a demonstration on Lytton Plaza in Palo Alto California. 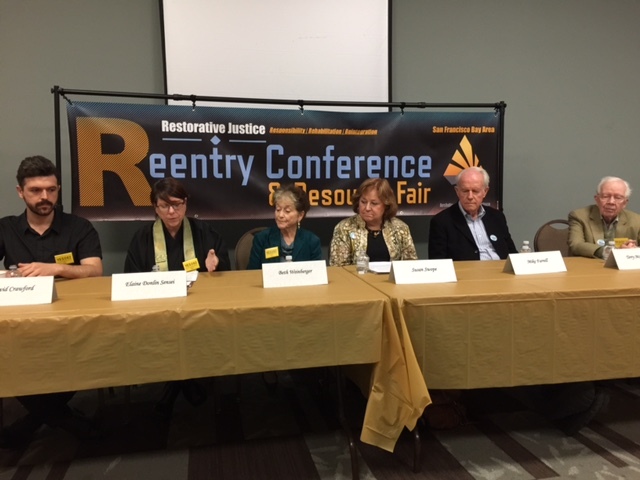 Speakers included Father River Damien Sims, Rick Walker, an exoneree released from San Quentin’s death row, Mary Kay Raftery, mother of a murder victim (pictured below) and Gerard McGuire with California People of Faith. Chris Lundin and the Raging Grannies provided musical entertainment. For more pictures, see Local Chapter Action page.